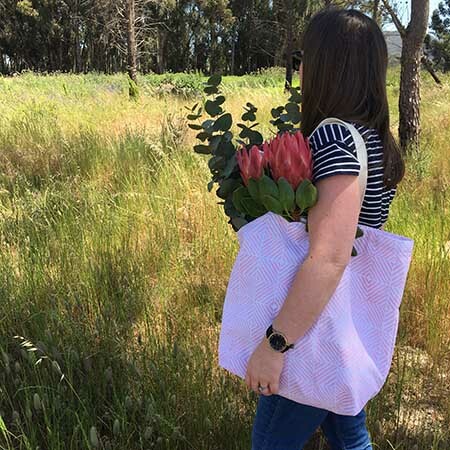 Our Eco-friendly fold-up shopper is the perfect all year round accessory. 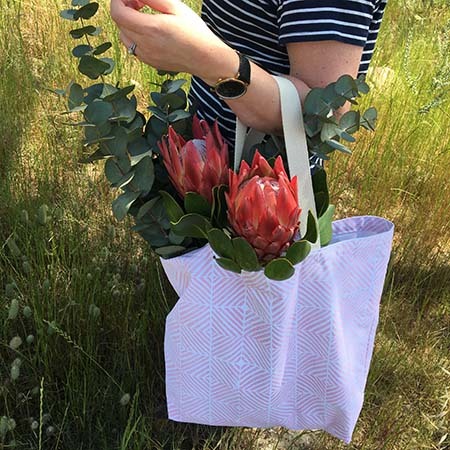 This unique lightweight shopper folds up to be popped into your handbag and ready for the next shop. 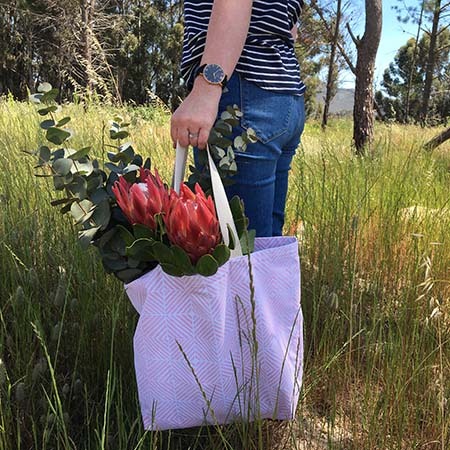 It is as tough as it is pretty and can carry lots of goodies including all your things for a trip to the beach. 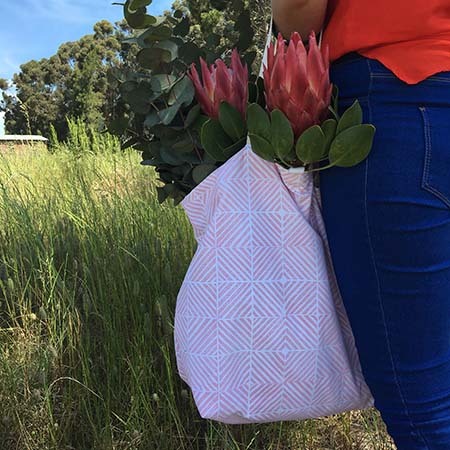 Hand block printed 100% white cotton, with a 100% white cotton lining and a printed pocket. Double stitched at the base for extra strength. Cotton webbing handles and a twill webbing closure with a secure popper. Cold wash with like colours and a mild detergent. Steam iron while slightly damp on reverse of print. Includes shopper only and not the other items used in the photographs. Copyright © Little Grey Wolf 2019 | Our Terms. 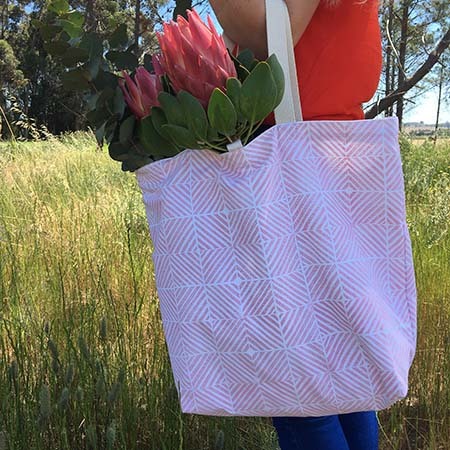 Notify me when Blush Pink Diagonals Fold-up Shopper is available.